Still, there remains a real possibility that deferral will pass. In the week since the proposition was first reported, the response of NGOs, political actors and the media has been (largely) muted. There has been no mass public outcry. For Western states, this is crucial – it suggests that the reputational costs of allowing a deferral to pass aren’t too high to bare. This entry was posted in Article 16, International Criminal Court (ICC), International Criminal Justice, Kenya, Kenya and the ICC, UN Security Council and tagged Uhuru Kenyatta, William Ruto. Bookmark the permalink. Hollande did not answer directly. But he did say that France was ready, to discuss with the AU a “simplification” of the procedures for trying the two Kenyan leaders. Hollande said that France could not accept any impunity and was committed to the ICC. But France would consider ways of striking a balance between the two principles at stake here; international justice and the right of states to be respected. French Foreign Minister Laurent Fabius confirmed in an interview that France hoped a solution could be found which avoided impunity but also ensured Kenya “did not come to paralysis”. I would consider this a severe misrepresentation of the actual diplomatic situation, Mark. But the more interesting question is why such a disinformation campaign was started on 27th September, lateron utilizing poor Mike Pflanz, and now still being continued e.g. in the Economist. Somebody who is a lot closer to U.K. than you, “Obie” :-), told me: “to appease the noise-makers”. Alexander – I appreciate that you think otherwise (and I have since been told by some good sources that there may be less to this story than meet the eye). But if this post is a misrepresentation of the actual diplomatic situation, as you say, could you explain what you think (or know) the real situation to be? Interesting piece, Mark, though I agree with Alexander that you may be overstating the likelihood of a UNSC deferral. 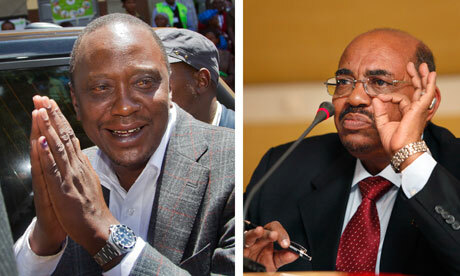 It seems clear that US, UK and France are all looking for some form of compromise which will allow them to maintain relatively normal relations with Kenya, which will be very difficult both if the trials go on with the two accused forced to be in The Hague, but also if Kenyatta fails to appear for his trial and an arrest warrant is thus issued. On the other hand, it is my understanding that these states (but possibly to varying degrees) remain strongly opposed to invoking Article 16 – to bring the provision into play for the first time, and doing so under this form of pressure. Should it happen, this will surely have serious implications for perceptions of the Court’s independence, as you point out, Mark, but arguably also for the credibility of those of the P-5 that have so far been clear that the Kenyan cases must go on; that “choices have consequences”; and so forth. It is hard to see how reference to what happened at Westgate could give credibility to a fundamental change in these positions, in part because the Court was being flexible and adjourned the hearings to allow Ruto to return to Kenya while the crisis was ongoing. Though a UNSC deferral may still be a possibility, the most likely outcome may after all be some other sort of compromise which reaches out to Kenya, the AU and other critics of the Court, while maintaining the credibility of the UNSC members in question and avoiding a further politicization of ICC processes. What might such a compromise entail? Well, let’s see how, on Friday, the Appeals Chamber will rule on the Prosecutor’s appeal of the Trial Chamber’s decision to grant Ruto’s request for excusal from continuous presence at trial. Should the AC uphold TC V(a)’s decision that Ruto does not need to be present, this could very well be the sort of compromise that satisfy both Kenya, the AU and the UNSC members in question (of course, such a ruling not only means that Ruto is excused from continuous presence at trial, but also that TC V(b)’s decision to grant Kenyatta’s request not to be present will stand). A careful reading of the AU resolution recently adopted could suggest that – well aware that a UNSC deferral would be very difficult to obtain – this was perhaps what the AU actually aimed at achieving (“To safeguard the constitutional order, stability and integrity of Member States, no serving AU Head of State or Government or anybody acting or entitled to act in such capacity, shall be required to appear before any international court or tribunal during their term of office”). On the surface of it, such a solution has the advantage that it implies that legality prevails. In reality, however, the biggest problem with such “compromise” is that the AC will indeed be breaching provisions in the Statute, specifically Articles 27 and 63(1), and thus in a sense heavily politicize the process of Statutory interpretation itself. As I argue here: http://www.cjicl.com/uploads/2/9/5/9/2959791/hansen.pdf, it takes a very creative approach to the interpretation of the Statute to reach a conclusion that the Chamber may generally excuse an accused person from presence at trial on the basis of his official capacity. One could imagine that some level of arm-twisting has been going on to have the Court rule in a manner that could (in all likelihood) solve the stand-off, though of course we won’t know till Friday when the AC delivers its ruling what will be the outcome of this. There was arm-twisting BEFORE, Thomas, that is correct. This arm-twisting and politicking influenced (or, in NGO jargon: “informed”) the trial chambers’ two decisions, and also the pre-agreed distribution of the two ayes and one nay. And anybody who as practitioner is used to read and evaluate the structure of a juridic sentence motivation can smell the enormous amount of bad conscience that carried Eboe-Osuji’s wording of the decision (he clearly was the one who drafted it); the Canadian-Nigerian judge perfectly knew how untenable his arguments (text as well as footnotes) were and are. For a judge to make a consciously wrong decision against the law, in order to achieve an ulterior motive, as honorable as that latter may (falsely) appear, is considered a crime, even a felony, in some national jurisdictions. It is clear that this judge was led (maybe not entirely by his own whimsy, let us word this speculation carefully), and not only by his impressive and ever-present scholarly vanity and desire for self-actualization in constant separate opinions — but also by an attempt to make legal politicks, even contra legem, and to support the beleaguered ICC, by trying to appease the African Union. One Kenyan journalist – surprisingly with that writer – did quite clearly recognize and explain this in an article. But exactly this was his fall from grace, which in my opinion might well carry and justify a recusal: because such politicking would be exclusively the aegis of the Assembly of State Parties, not of the chamber judges. 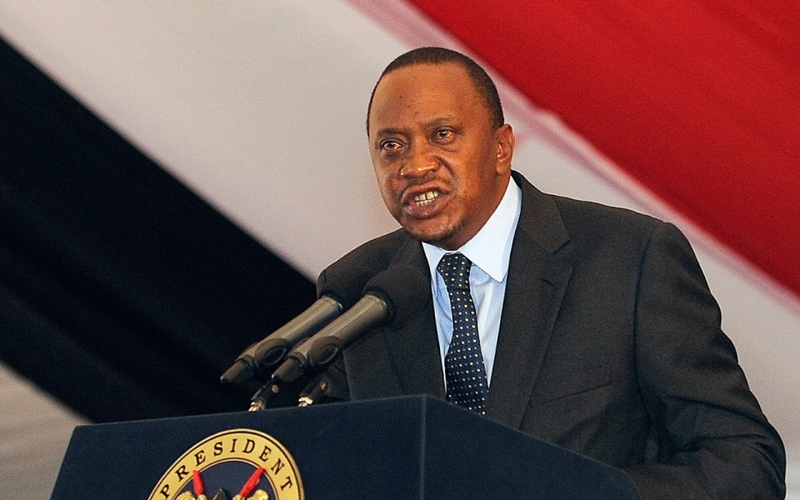 In addition, behind-the-scenes but all the more effective and well-concerted diplomacy influenced the AU member states, so that Kenyatta’s loud bid ended in a major and hardly-veiled defeat, contrary to his expectations and demands. His team (one of whom contributes here) now try to sell this defeat to him, but I am not sure how credulous he remains. The price that the diplomats had to pay, was to offer a due and receptive forum for the various AU demands and criticisms during the forthcoming ASP meeting in November. Secondly, the ensuing Kenyatta decision was this time not drafted by Eboe-Osuji (whose participation was rather limited, but can be sensed clearly in one footnote, that is so much him, and so little Fremr), but by Czech judge Fremr. His clerks were not very much up to their task. In contrast, the brief dissent by judge Ozaki is concise, compelling and truly masterful in its legal precision and persuasive clarity. It was halfway expectable that trial chamber V(b) would not diverge from V(a), especially since the matter is already under appeal. However, some of us might have expected that they might wait with their decision until the appeals chamber has decided. Thomas and Alexander – Very interesting observations. Thank you for sharing them. In the latest, forty African Union member-states have officially requested that the UNSC defer the cases. 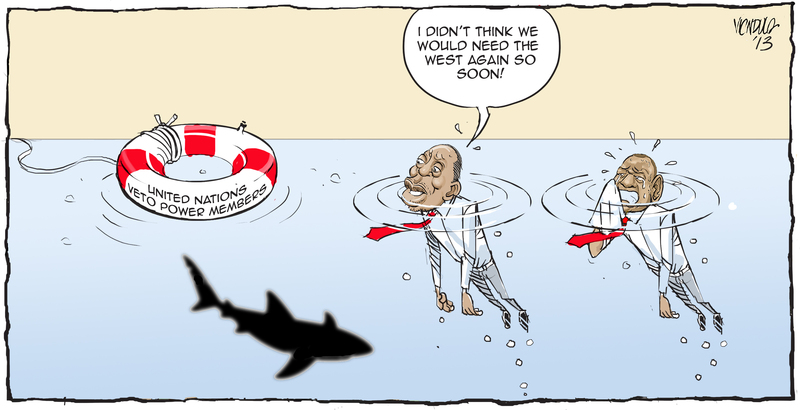 In their request, they have apparently relied heavily on Kenya’s role in combatting regional terrorism. I would expect some delegation to present their case to the relevant UNSC ambassadors in New York in the very near future. Also, I should add that this piece was intended to be speculative and not suggest whether the UNSC would – or would not – invoke Article 16 and defer the Kenya cases. It was intended to suggest *how* this might happen, they key dynamics at play, and how such a decision might be justified if, indeed, it was taken. This is what I have just posted, as a follow-up on Opiniojuris. Very quick, and not yet quite developed in conciseness and style. 1. A deferral by UN SC was never an option, not even remotely. But three of the P-5 states also wanted to avoid a use of their veto power, and wanted the ASP to exercise its prerogative to handle the grievances of African states with the ICC. 2. The present temporary-tactical retreat of Bensouda (unexpected as it is), was due to high-level diplomatic pressure of some states parties directly on the Office of the Prosecutor, in the very last days. 3. As you will note in her submission, she has retained and defended all her legal stance, and uses the Mungiki issue and the witness presentation decision of the trial chamber V(b) only as a pretext now. A weak pretext admittedly, but judge Eboé-Osuji more than gladly accepted this emergency valve, trying to evacuate some of the present pressure against the institution of the Court as such.